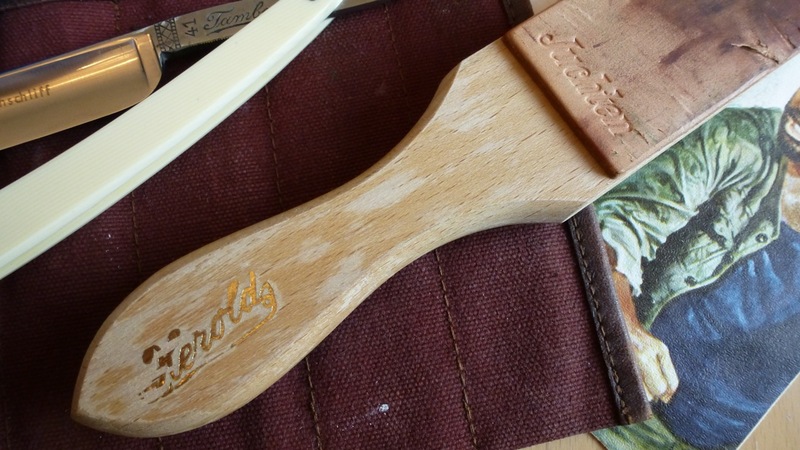 Straight Razor – my first strop! About 2 years ago I bought my first strop to hone/sharpen my straight razors. There are some fancy 100 Euro + models out there and my first thoughts were, you got it for decades so – spent the money. On the other side I wasn´t sure If straight razors would be my thing. Luckily I went for a relatively cheap one. 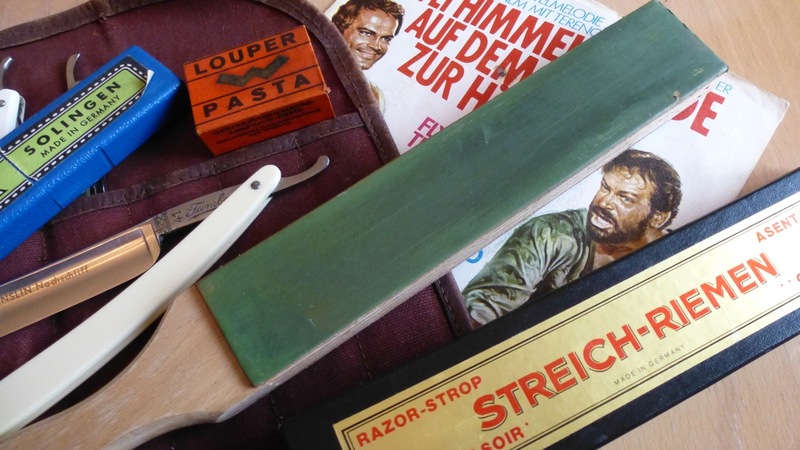 It´s not that I stoped to straight razor shave, but as a beginner you cut the leather so easily. In most tutorials or movies they strp very fast, which makes absolutely no sense esp. if you are not a “master” in it. Just go about 20 times slowly with hardly any pressure over the leather, thats it. And at the beginning you are a bit nervous or let me say not so focused. So making a false movement with the blade is done so quickly. So my advice is, save the money and buy a nice one after you ruined the first one. I guess in about a year, I´m ready to buy something more appropriate for my razors. But in ne meantime, this one serves me well. Here a well made video for how to use the strap/strop. 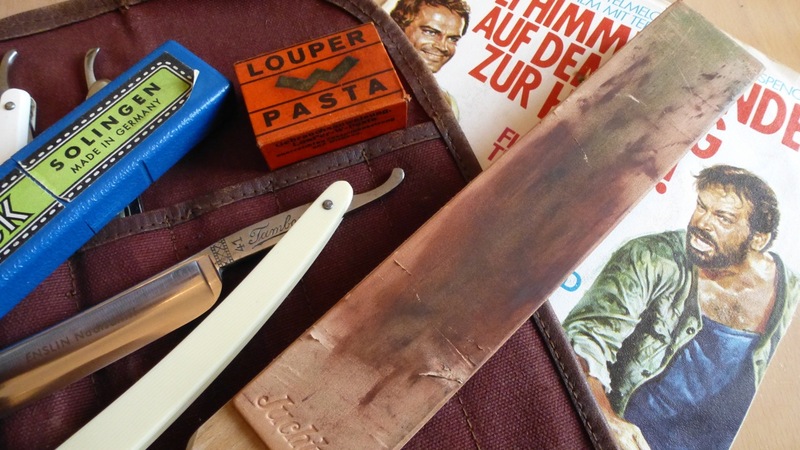 This entry was posted in Style and tagged blade, hone, leather, sharpen, shave, straight razor, strap, strop, vintage on 26. July 2012 by Alex. I have a similar strop and jeweller’s rouge, that I use for sharpening some of my leather tools, but the one you have looks so much better. I’m a bit jealous. hmm nice – its just a cheap classic one for 20 Euro. If you are looking for the real stuff check this webshops specialized on shaving. did not know that stromps are used to sharpen leather tools, ultrasharp i guess!